Chatan is a beach town located in Okinawa’s Nakagami District and known for having an American feel to it. The town is famous for being home to the American Kadena Air Base, as well as (perhaps because of the base’s presence) its American Village; an americana-themed entertainment complex which was built in part to cater to the nostalgia of the American residents and as a playground for locals and tourists. No doubt Chatan is about a little shopping, possibly riding the ferris wheel, and even catching a movie. 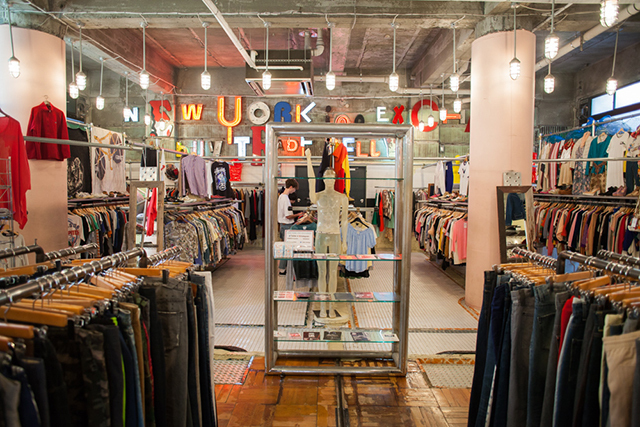 But is not only that; if you take the time to explore past the shopping malls, a cool local vibe sneaks up on you and makes you want to stick around for a while. 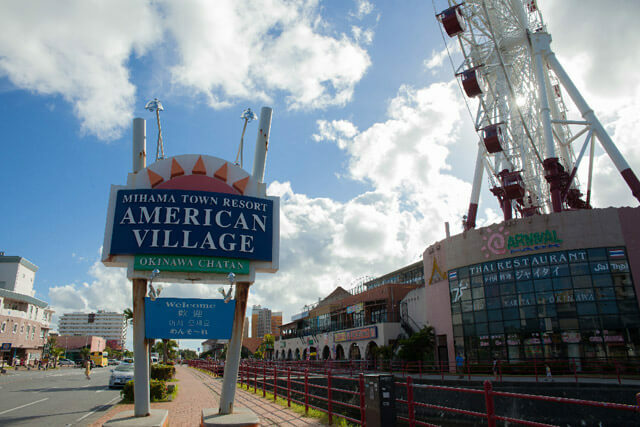 At the Mihama Town Resort American Village you’ll find an endless amount of entertainment to keep you busy. 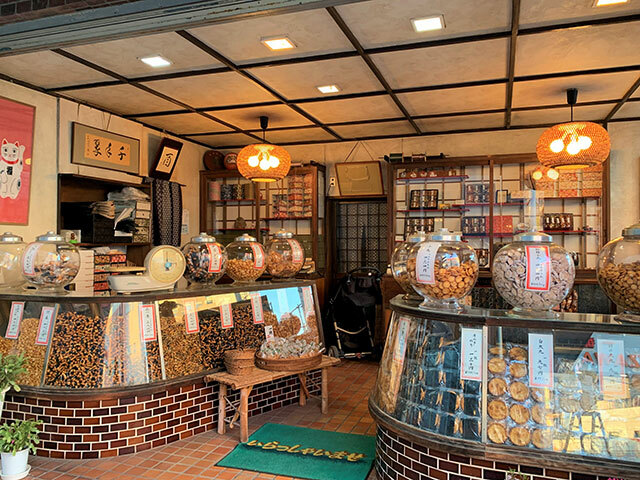 The complex has over 50 stores where you are sure to find a cool souvenir, traditional Okinawan omiyage, and many american brands. 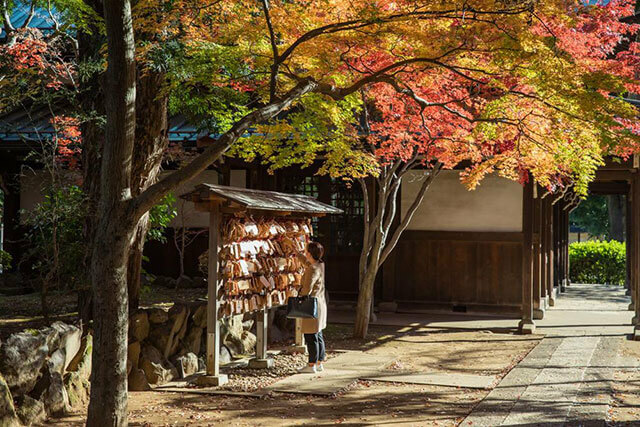 You’ll also find over 30 restaurants serving international food as well as Okinawan cuisine. There’s enough here for all palates and budgets. And of course there’s amusement rides with the Skymax 60 ferris wheel being the most notable attraction in the resort. For 500 yen per person, you can ride it to catch the view of the whole village and the ocean beyond. Along the canal and before arriving at the Sunset Walk sits the Bokunen Art Museum, a building with a modern take on Ryukyu architecture which houses the artwork of Bokunen Naka, one of the most recognized multidisciplinary artists in Okinawa today. Beyond the shopping and entertainment complex you find the Sunset Walk. If you get this far then you begin to see the local beach town vibe hidden behind the “American Village”. Teenagers chilling next to the water, people gazing at the horizon while having a cup of coffee, and a cool vibe in general. 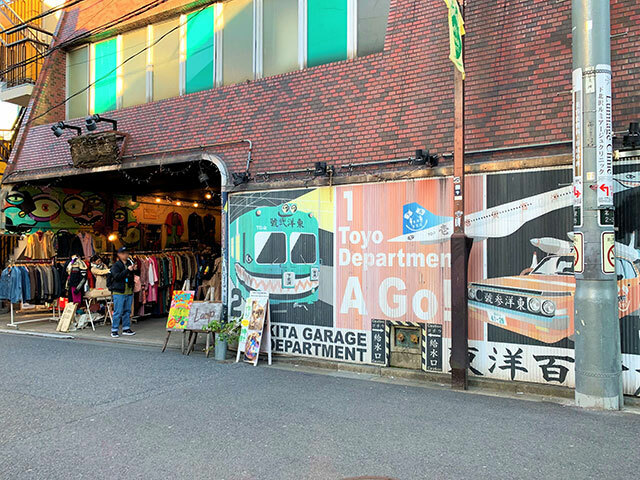 You can hang out along the pedestrian walk or if you want more comfort and topnotch coffee and drinks head into Zhyvago Coffee Works Okinawa; their coffee is delicious and the front row view of the sunset amazing. Alternatively you can get your drinks and then hop over to the sea wall and join the locals at their hangout. But the trip to Chatan does not stop there, this is after all a beach town and Sunset Walk leads you to the Sunset Beach. If sand and water is what you are looking for you can then skip the shopping and the theme park and head straight to Sunset Beach. The beach is small but the water is calm and perfect to chill out with friends all day. The Sunset Beach Parlor located on the north end of the beach rents the usual marine gear as well as SUP boards and tubes to have fun in the water. You can also alternate water activities with a bbq; visitors are free to bring their bbq or you can rent a bbq set for 2,500 per person, although a minimum of 10 people are required to rent the bbq set. For that time of the day when you’ve had enough of the beach and need a solid meal and refreshing A/C, head back to the shopping complex and into the Depot Island Building where some of the resort’s best restaurants are located. A suggestion is the Omutaco, another one of Okinawa’s famous dishes and a local favourite. Omutaco is a blend of the traditional Omurice (omelette over rice) and Taco Rice, and at Kijimunaa you’ll find the original.